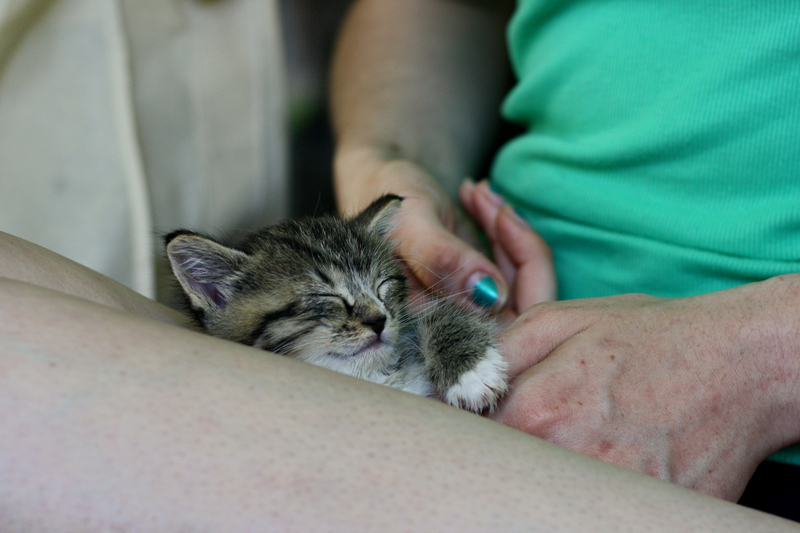 My friend Andrea recently adopted a 4 week old kitten. 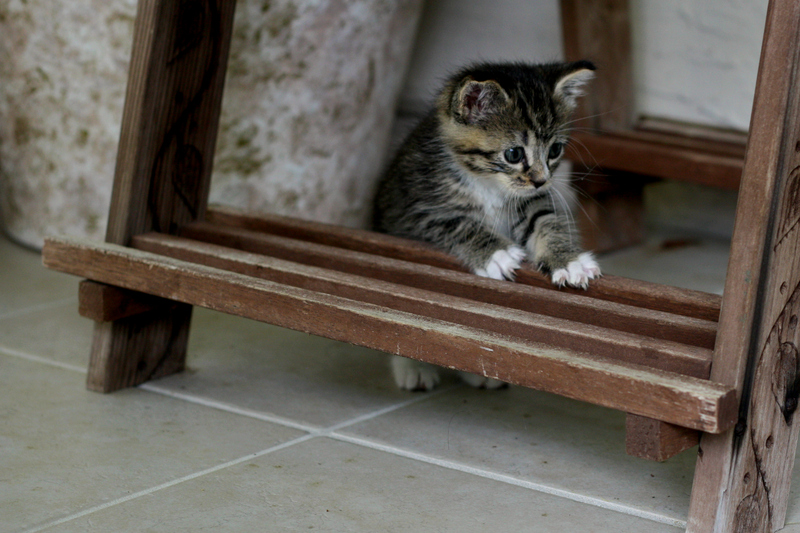 She and her litter were born to a feral cat at a campground in central Florida. Since the manager was set on sending them off to the shelter before they were weaned, her brother scooped one up for her. 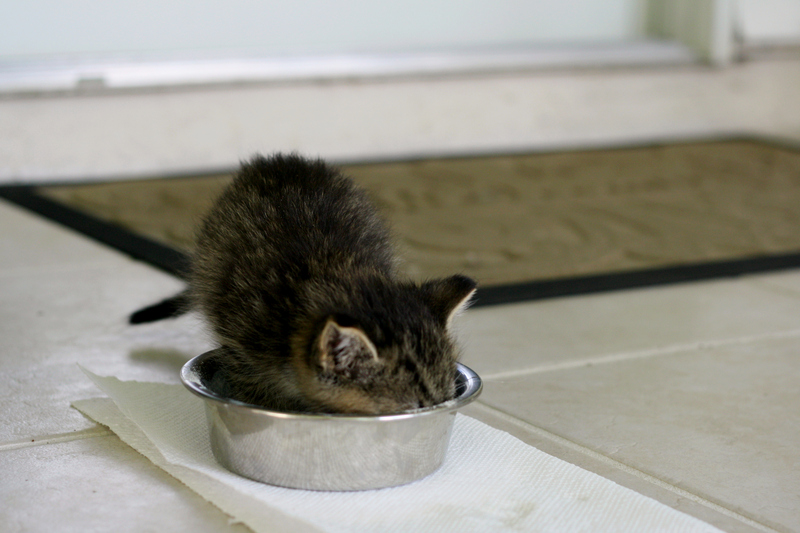 Kitten drinks formula, sleeps often, and is still a bit uncoordinated. She’s adorable. I love kittens so much! I adopted one last fall and am still hopelessly smitten! Awww, she is adorable indeed! 🙂 So cute.